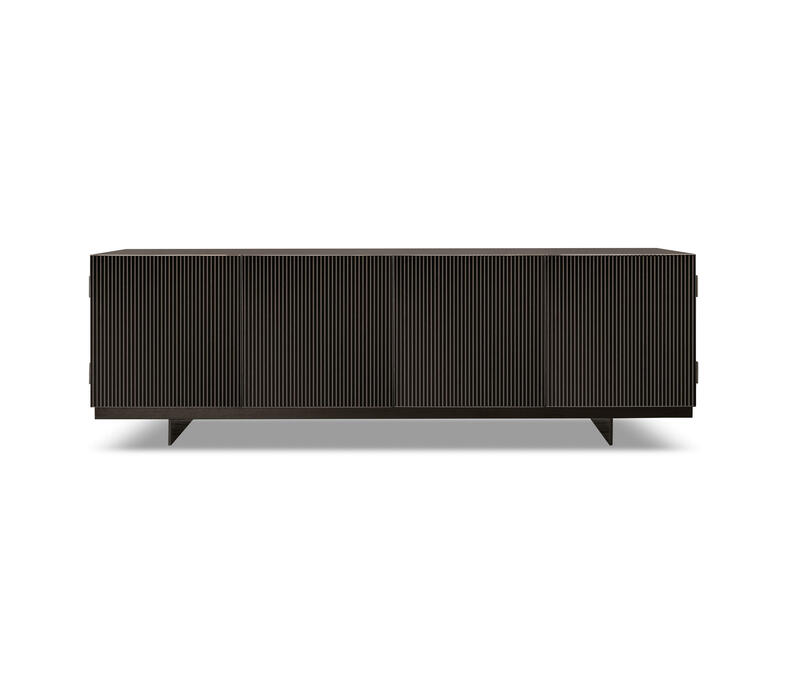 The Morrison base comes in three versions: on the floor, or in heights of cm 12 and 25. 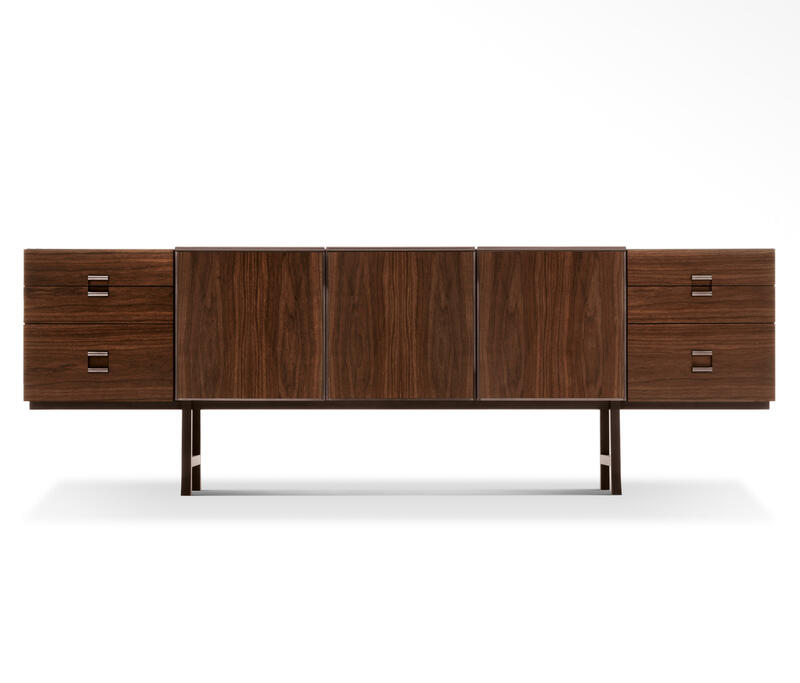 The new oak open-pore finish has been added in a Tobacco stained color which goes to join the Moka. 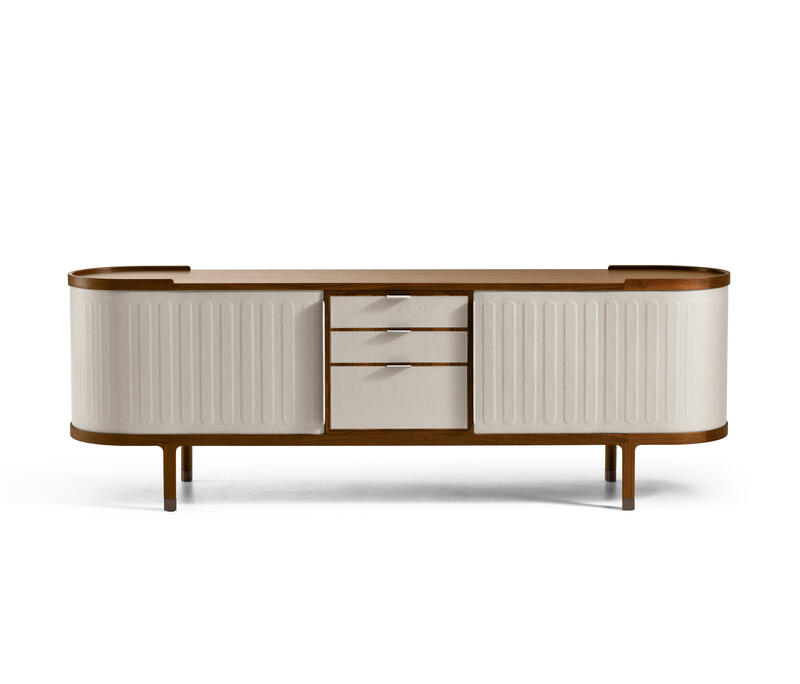 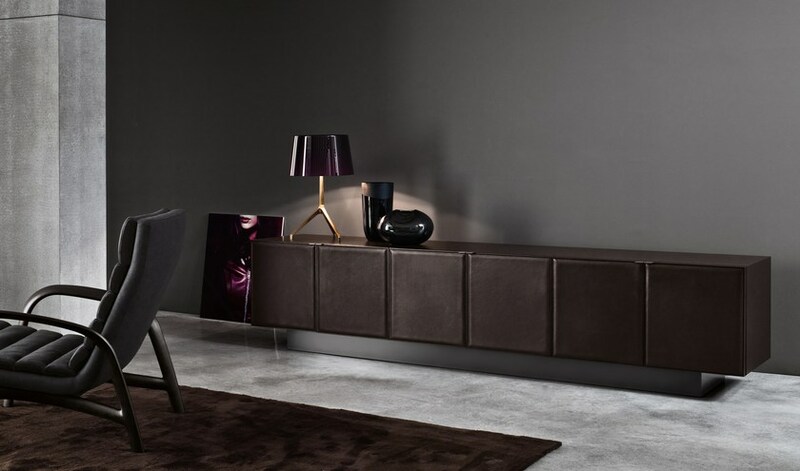 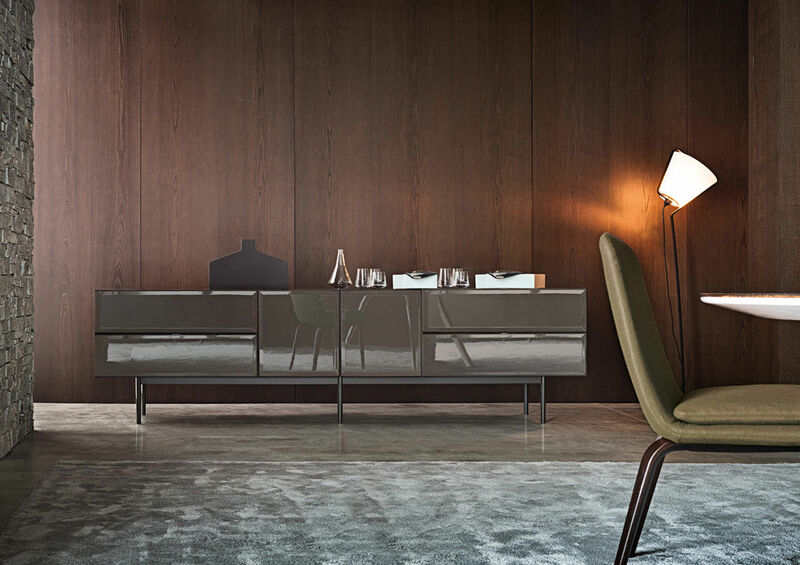 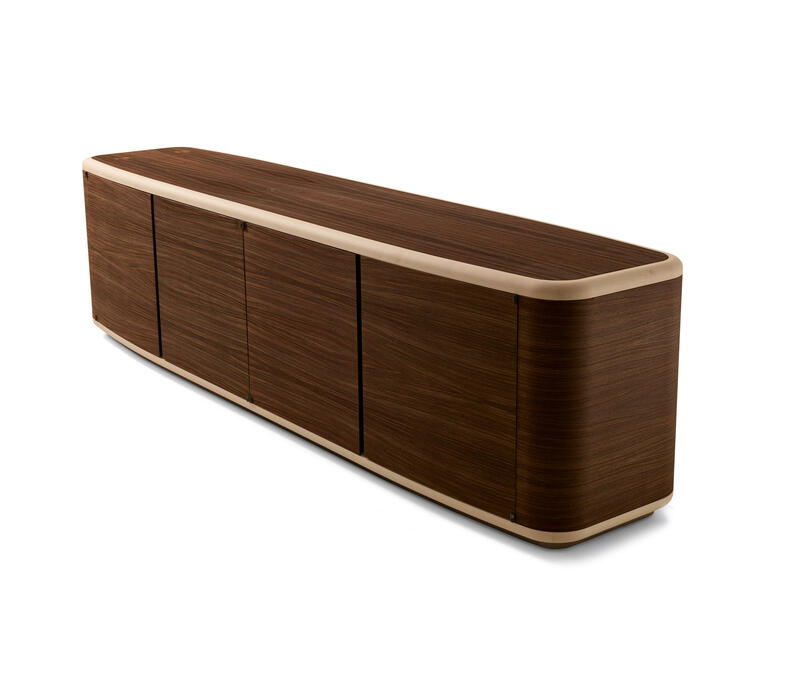 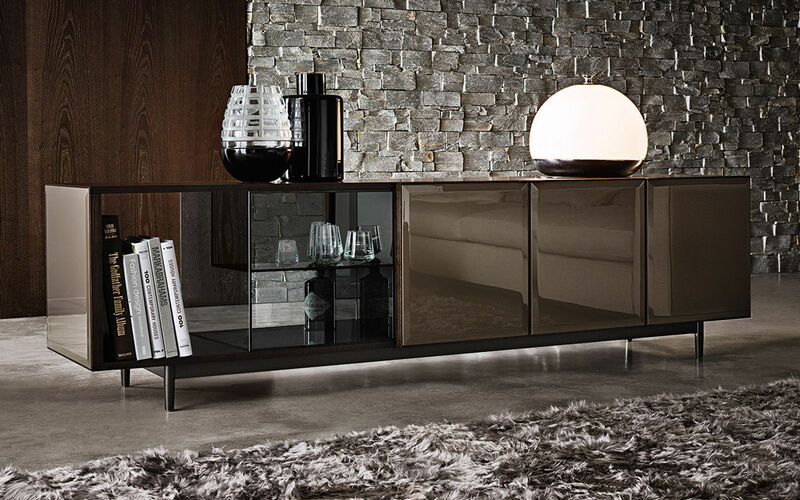 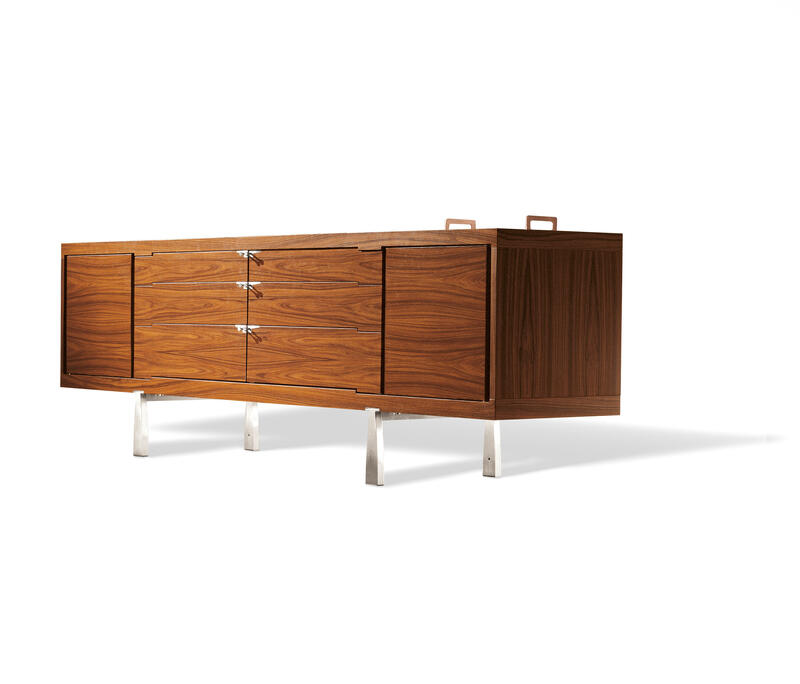 The beveled edge running around the perimeter defines the line of the doors and front section of the drawers which, in addition to the leather-lined version, also come in a glossy lacquered finish in Sand, Celadon, Mud, Granite and Moka. 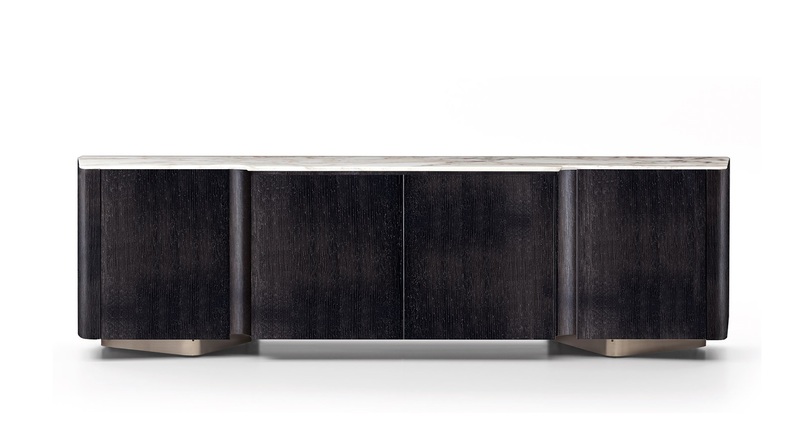 There is also a version with all-oak Tobacco doors and a structure in lacquered satin-finish Mud.